Well, Arthur Memorial Church building, steeple and all have well and truly gone, but the fantastic stories and memories (and, yes, the people!) 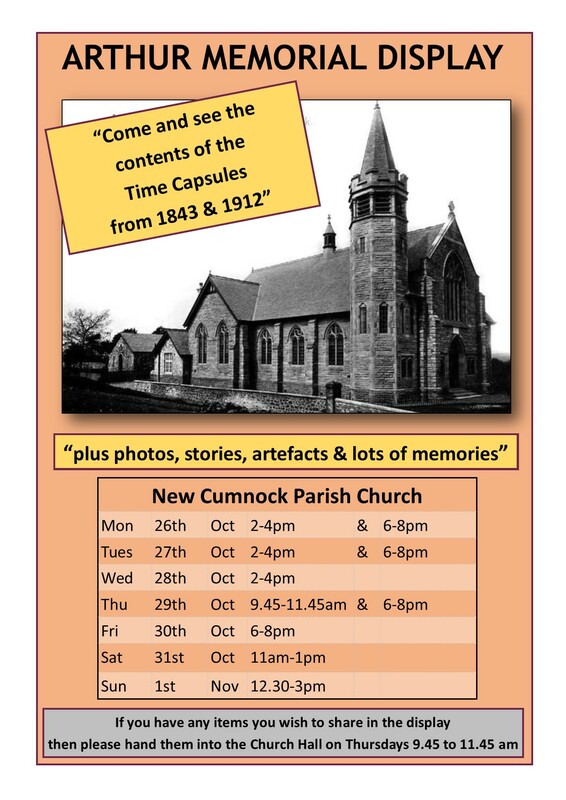 remain, preserved in the minds and hearts of former AM members and folk in the the village of New Cumnock and in the contents of a Time Capsule dating back to 1912 and 1843. If you have any photos, stories, etc. take them to the Parish Church Hall on Thursdays from 9.45 to 11.45 or send me a message. Then please come to the Display!